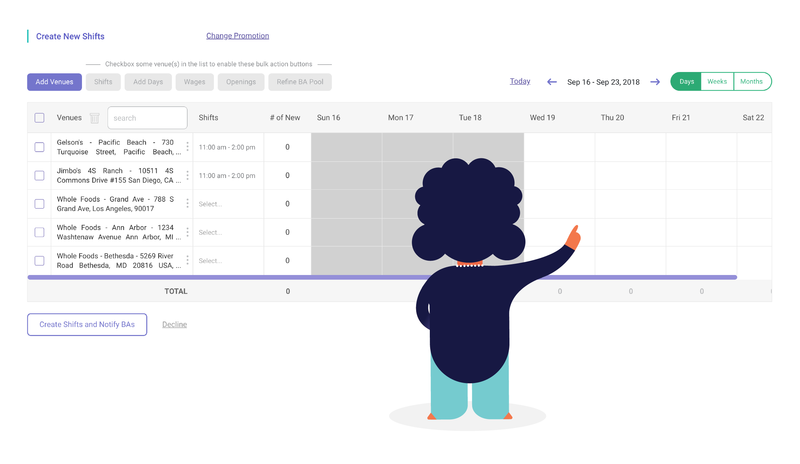 This step by step video and help doc is a quick start guide to get you using the features of Promomash’s powerful open-shift scheduling module. 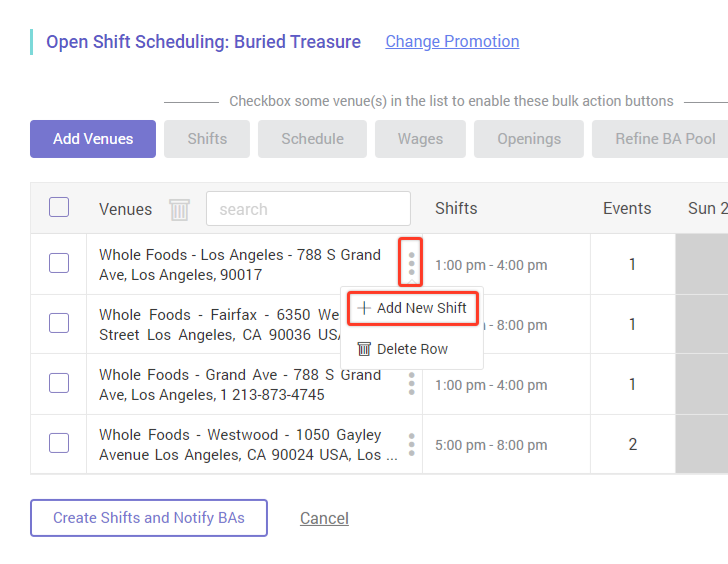 In “Open Shift Scheduling”, we are creating shifts ­– which are specific slots of time at a certain place on a certain day. The event you have created will be color-coded. This is a quick visual indicator of whether you are likely to have adequate coverage for that event. This color coding is based on the number of BAs you have specified for the event and on the number of candidate BAs in the BA pool you’ve created according to the venue and the various selection parameters (either default, or custom ones you’ve selected). The color coding will be green for good coverage, orange for insufficient coverage or red meaning coverage that is too low. FYI, the default parameter will pull every BA in a 50 mile radius. 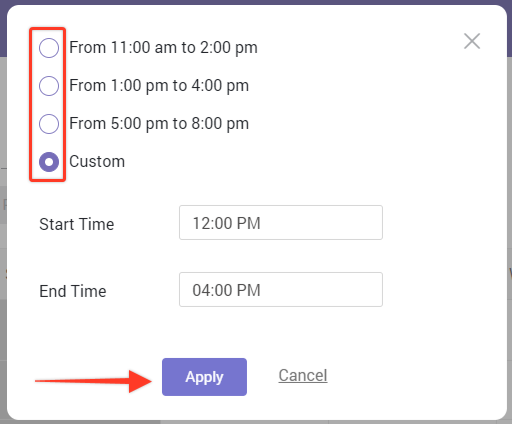 If you want to modify your event or the BA candidate pool, check out those details in our video named "A Deeper Look into the Event Detail Panel, and Modifying Your BA Pool".